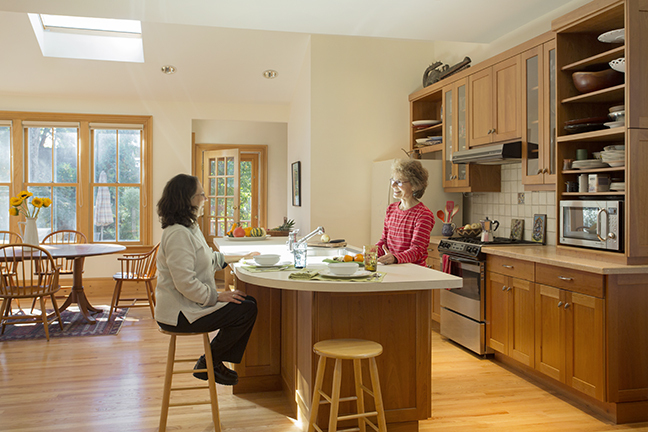 The kitchen is ideally positioned for entertaining large groups. 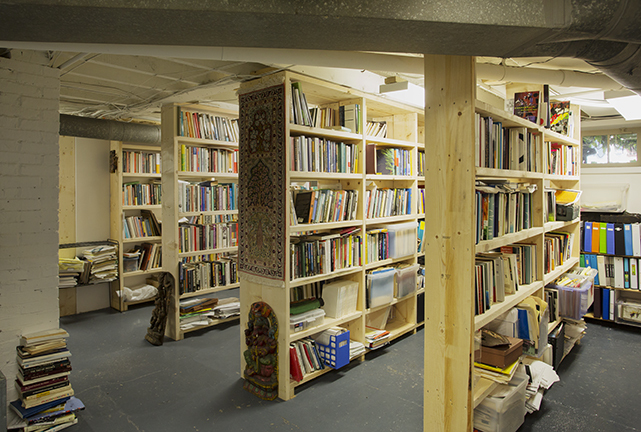 Library shelving in the basement accommodated the clients numerous books. 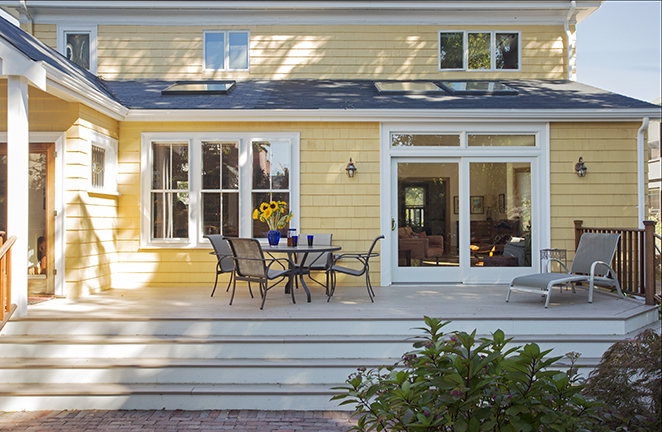 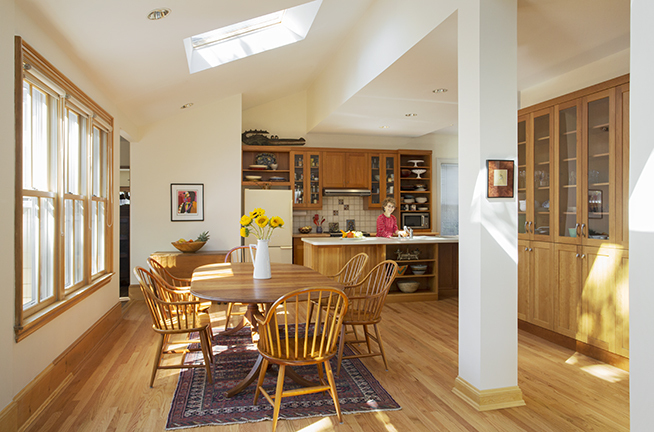 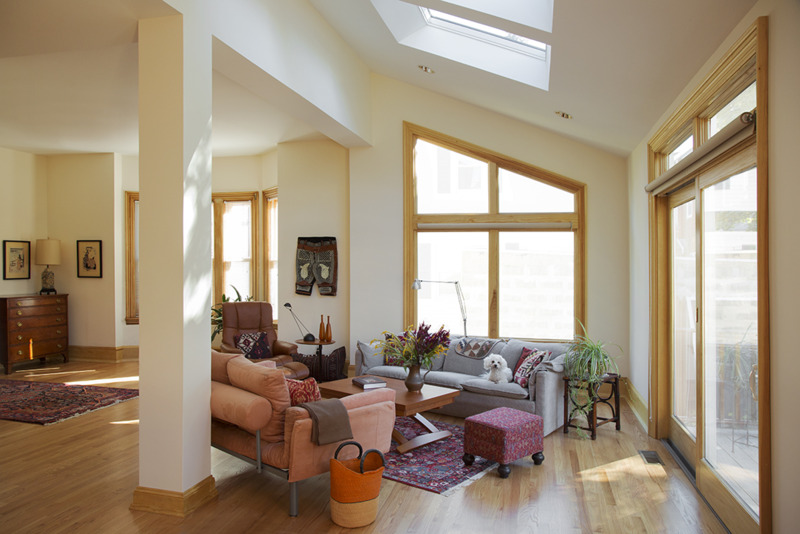 A couple in Somerville, MA wanted to reconfigure, expand and enhance the existing spaces in their 1863 home so it would meet their needs as they age in place. 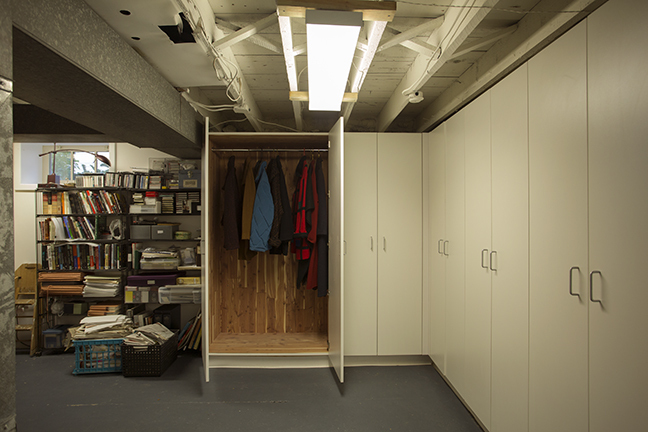 Through a 200 sq. 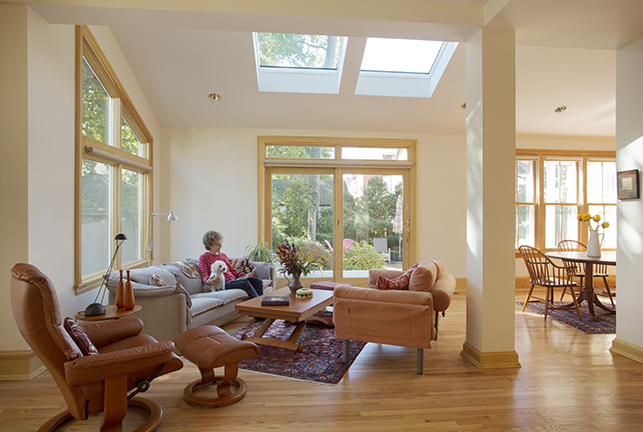 ft. addition and extensive renovations, Morse created expansive first floor living space that is flexible, accessible, airy and energy efficient. 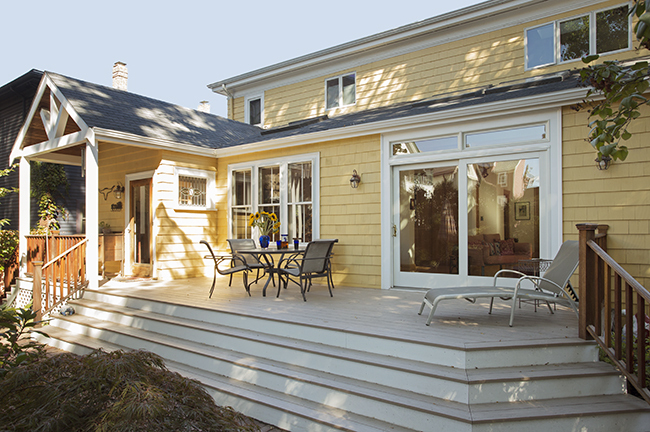 The design/build project also included: a basement library space; modifications to a second floor home office; relocated laundry space and energy-efficient replacement windows.